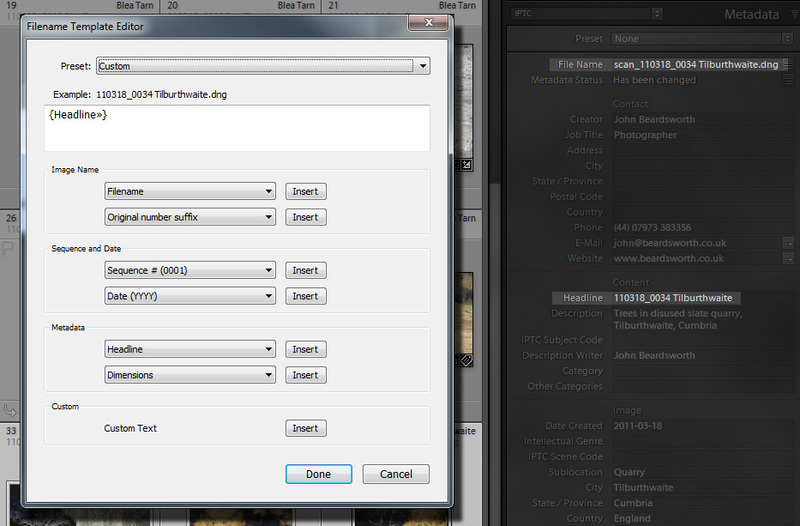 … I need to remove text (“Scan_”) from the filename for images I scanned 4-5 years ago (and are now in my LR catalog). It appears Search and Replace does not work on filenames, only on metadata. Pre-LR catalog I used a utility to do bulk file name changes on folders of files, but that will be a problem with the LR catalog. Lightroom offers batch renaming and it’s reasonable to expect that the feature would allow you to replace text in filenames. 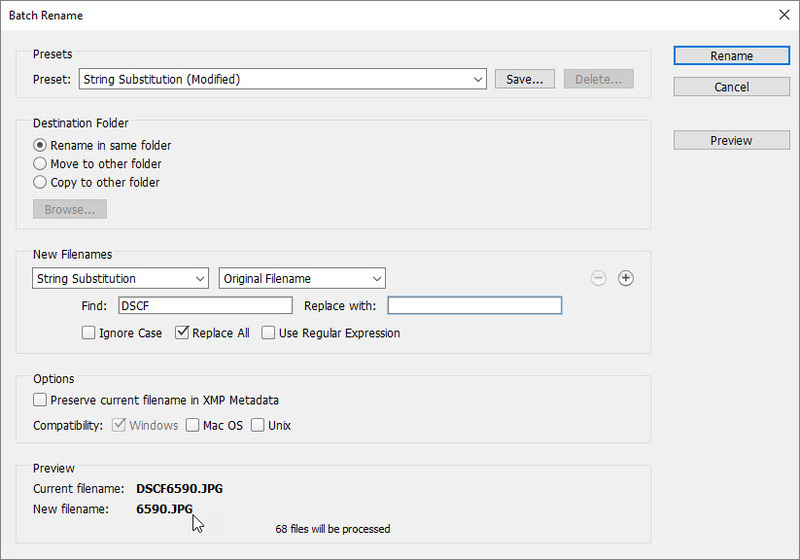 It was possible in iView/Expression Media, for example, and Bridge’s renaming dialog box does it with its “string substitution” option – see bottom of article for an explanation. But Lightroom has never allowed it. I suspect it fell victim to a kind of “it’s not in Bridge” thinking, because “string substitution” wasn’t yet in Bridge when Lightroom 1.0 was launched. And sadly, this omission has never been rectified, even 13 years after I started whining to Adobe about it….